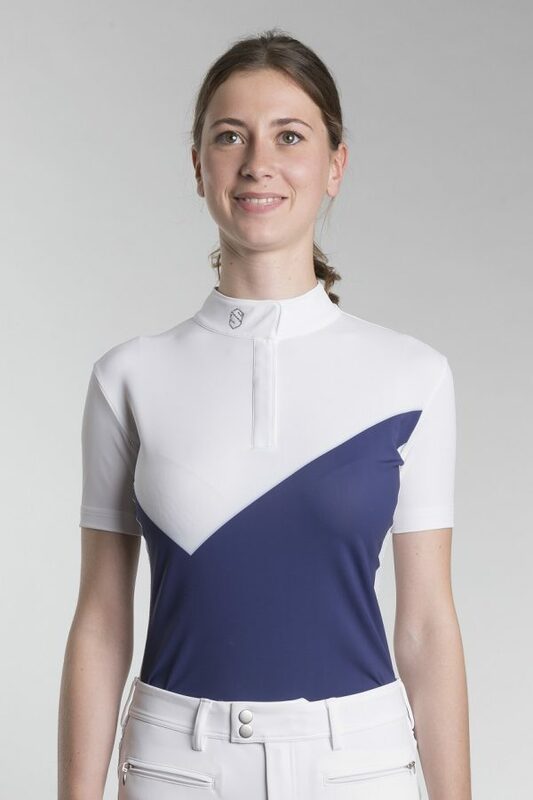 The Irene shirt is made with a soft, high stretch fabric which provides breathability and comfort to wear with UV protection. 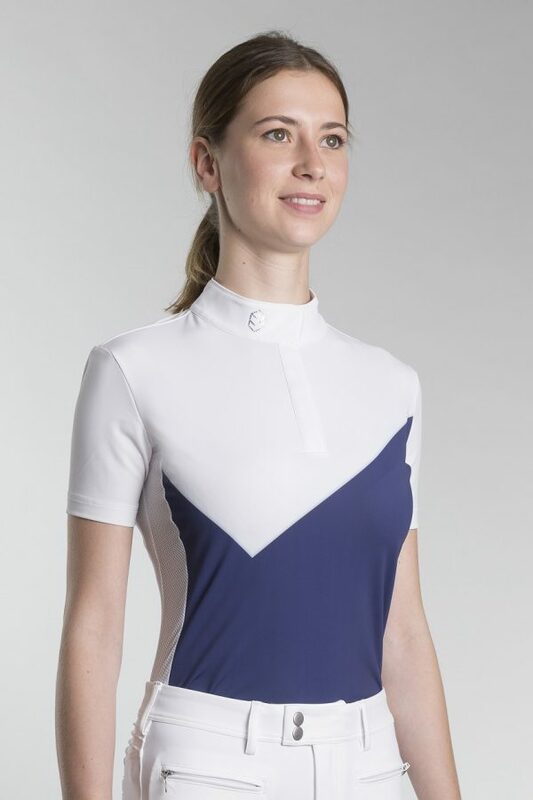 The side panels are made with an high stretch perforated fabric which ensures excellent breathability while the tailored fit allows excellent wear when active. 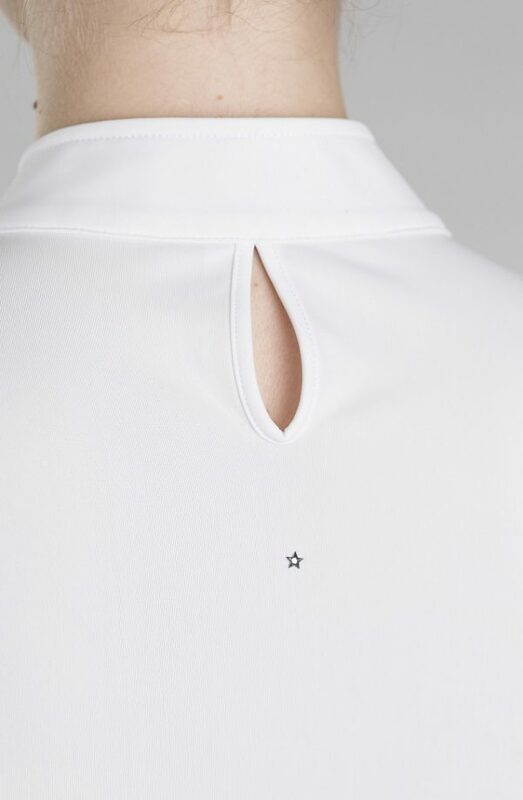 The collar closes with hidden snaps poppers. 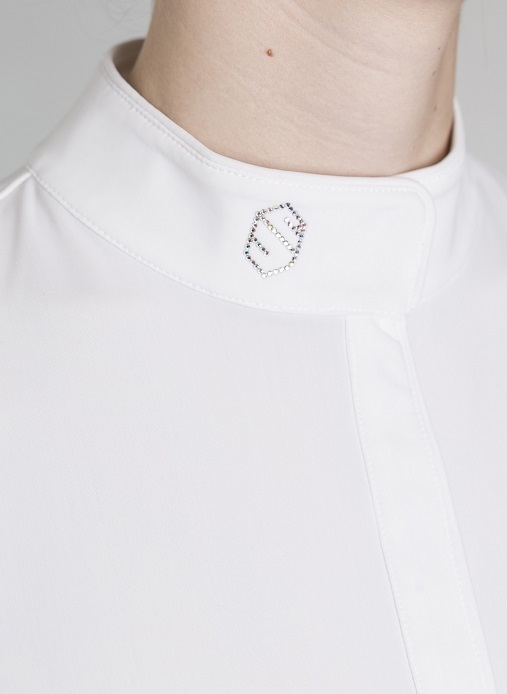 Finished with a Swarovski® Samshield blazon on the collar and a star on the back adding elegance to the sportiness and technical look. 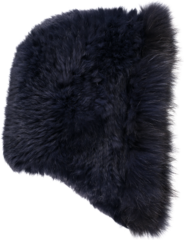 Easy care – wrinkle free & machine washable.